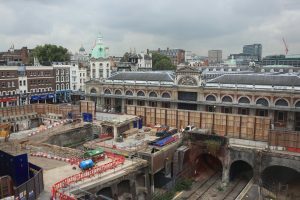 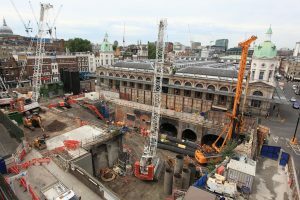 The Crossrail station at Farringdon now has two new ticket halls which Reliable Contractors were a part of constructing. 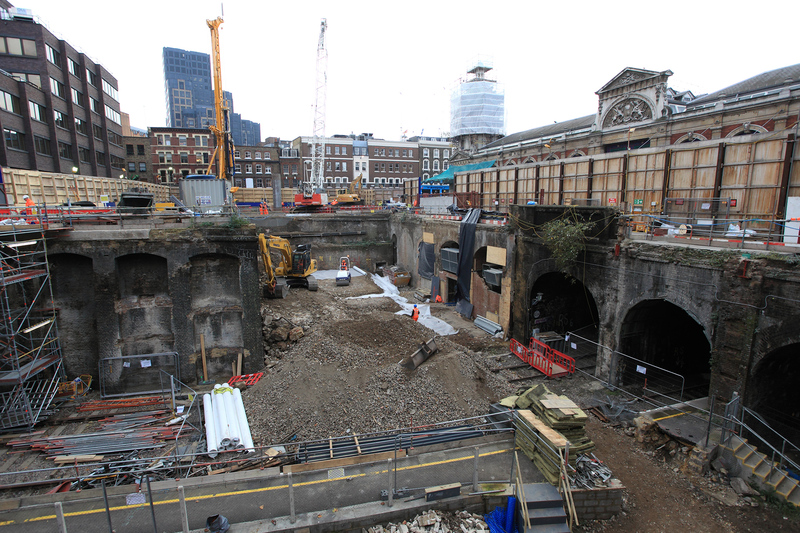 The western ticket hall at the corner of Farringdon Road and Cowcross Street will integrate with the Thameslink ticket hall, whilst the eastern ticket hall, bounded by Charterhouse Street, Lindsey Street and Long Lane, links to Barbican station. The ticket halls are connected by 250 metre long underground platforms. These parallel tunnels are linked by a series of cross passages and a larger circulation tunnel that sits between the two platforms. 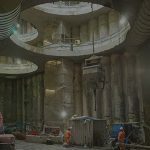 The western ticket hall (WTH) shafts go down to about 33m below street level and the eastern ticket hall (ETH) is a few metres deeper. 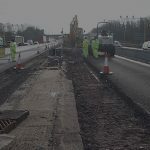 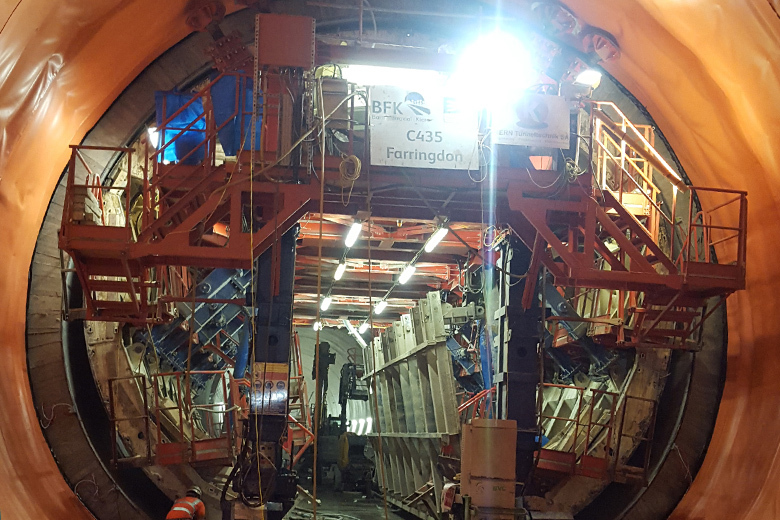 The running tunnels and platforms are at a similar depth; way beneath the existing tube line, which is just 8m beneath the road. Ahead of the arrival of the boring machines, foam concrete was pumped into the excavated space to create a suitable cutting medium. The process was slightly different at the ETH shaft where one of the TBMs stopped short of the shaft, whilst the other run to the north. 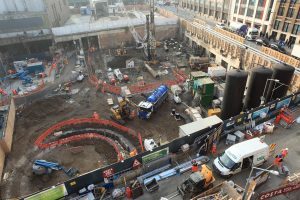 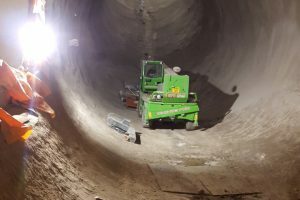 The western tunnelling drive — from Royal Oak to Farringdon — was completed in early 2015, when the TBMs Phyliss and Ada arrived at Farringdon from Royal Oak in the west.